Having guided The Vamps to become one the UK’s most successful bands, Virgin EMI have pulled out all the stops for tomorrow’s release of their new album. Tomorrow’s launch is for the “Day Edition” of the Night & Day album, the record having been divided into two parts to fulfil fans’ demand for new music. 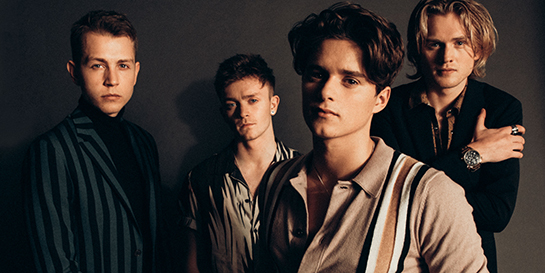 The first instalment, The Night Edition, was released a year ago and became The Vamps’ first UK number one album and was an iTunes Top 10 in more than 20 countries. The latest release includes a concert DVD and 10 new songs including the singles Personal and Too Good To Be True. The album will also include eight bonus tracks from the Night Edition including the global smash hit All Night, which has notched up over 343m streams on Spotify. The British four-piece released their latest single, Just My Type, earlier this week alongside the accompanying music video which has already surpassed 818k views on YouTube. To promote the album release, the band are visiting six cities around the UK for in-store signings and exclusive performances. Following a US promo tour which included performances on some of the biggest TV shows in America, the band have announced their Four Corners UK & Ireland 2019 tour. Kicking off next April, they’ll be joined by pop trio New Hope Club, who are signed to their own label Steady Records.